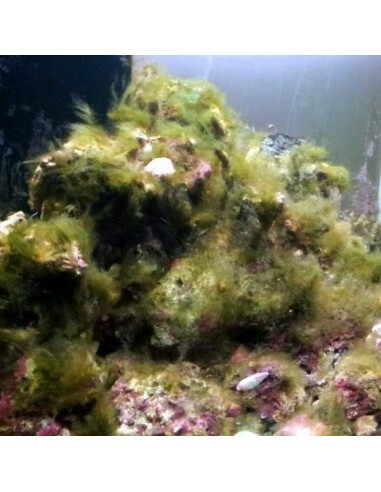 Green Hair Algae are unfortunately a common problem when the Nitrate and Phosphate levels in the aquarium water are to high. Once they appeared it is very hard to get rid of them and unfortunately they can overgrow your corals if not taken care off. They are quite easy to identify as they feel and look like slime once taken out of the water. They will reach a length of up to 20-30 cm and the colouration varies between a light to and a dark green. It can attach itself to almost anything, and prefers areas with good light. Manually remove as much of it as you can. Try to block the area where it appeared from direct light, for example move the rock upside down, or place something on this area if possible. 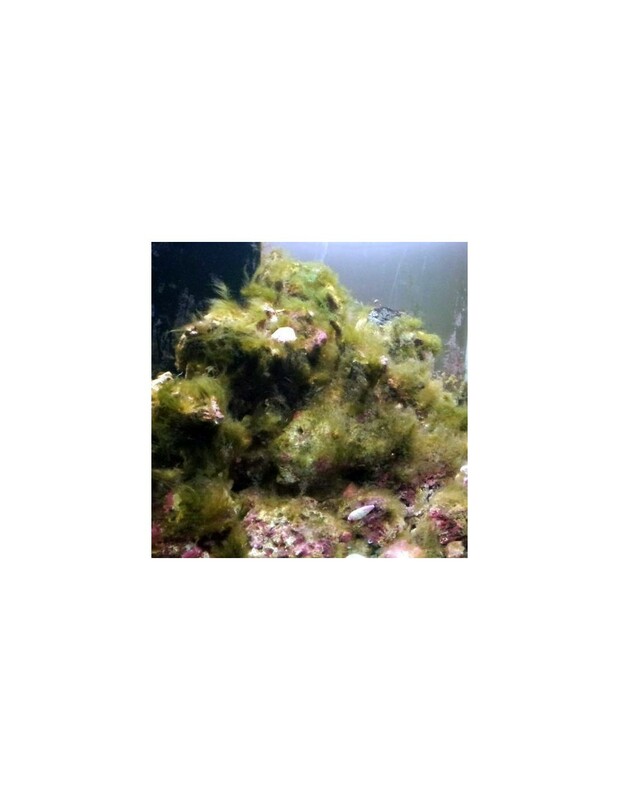 Some algae eating fishes and critters will help you as well to get rid of this algae problem.